Creates various diagrams for affiliates. 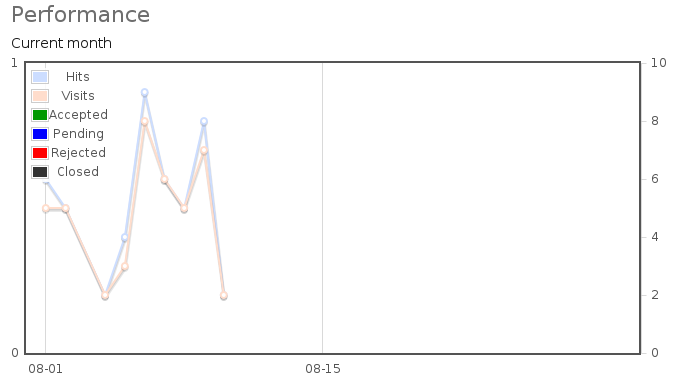 Performance graphs for affiliates on the front end are shown with the [affiliates_affiliate_graph] shortcode. By embedding the shortcode in the affiliate area, a combined diagram for all data or for individual sets can be shown. This includes data about hits and visits to the affiliate’s link as well as referrals. 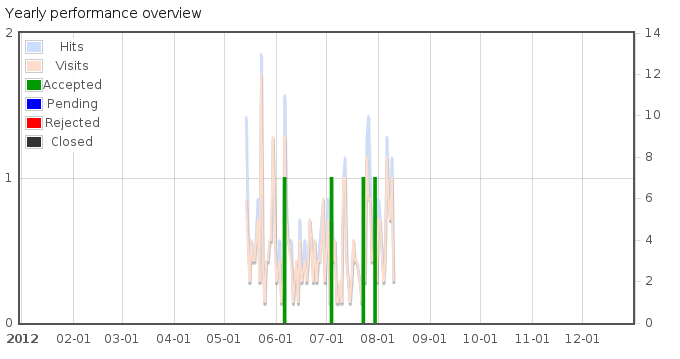 This diagram shows that the affiliate has not produced any referrals for the current month yet. This diagram shows four referrals that have been accepted for the affiliate along with hits and visits.